Don’t Let Winter Freeze Your Development! Things don’t have to freeze on your development or project though. There is still plenty you can ask your ecologist or landscape architect to do. The majority of landscape architecture work can still carry on as it’s not seasonally restricted (some tree work is, so please check with us if you are not sure). Ecological surveys can have seasonal restrictions but Preliminary Ecological Appraisals (PEA/Phase 1 habitat survey) can be undertaken all year, as can badger surveys, otter surveys and bat and barn owl surveys. Some other surveys may also be possible in the winter months, dependent on the situation; we would advise you contact your ecologist to clarify. One of the key benefits of having your PEA undertaken in the winter is that we will then know precisely which protected species surveys will be required to accompany the planning application; these can then be booked in for the next survey season, so you can rest in the knowledge that these will be undertaken at the first opportunity. Don’t forget there are some surveys which can only be carried out during the winter months, such as wintering bird surveys and bat hibernation surveys. 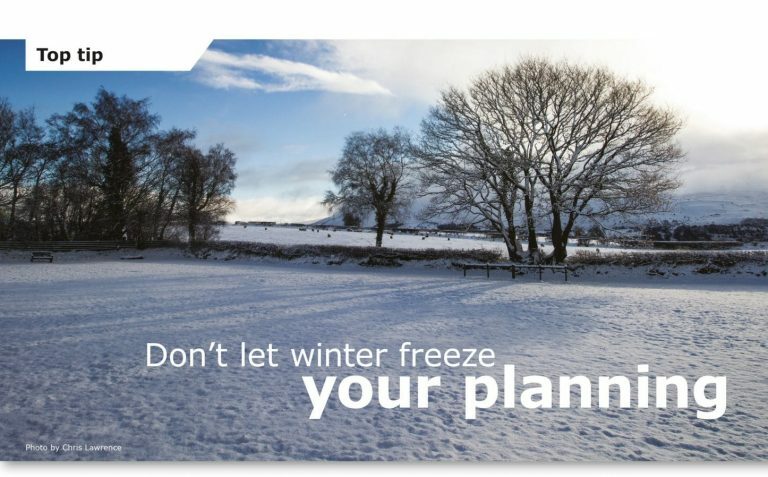 So why not plan ahead for the colder months and ask your ecologist and landscape architect what they can still do for you during this time. It will greatly help to reduce unnecessary delays and keep your development running to schedule. Click here to send us an email or give us a call on 01872 245510.